Bali is an island of unique cultural offerings, where ancient beliefs blend with contemporary living. On Bali, life is centred around the island’s annual festivities, with many events celebrating the rich heritage of the Balinese people. One of the best ways to experience the Island of the Gods is to witness such events, with Bali playing host to a wealth of fascinating celebrations throughout the year. So, if you find yourself venturing to these shores, check out our essential guide to the unmissable events and festivals in Bali in 2019. Here, we explore the offerings that make Bali so beautifully unique. Ready your camera and revel in the must-visit events that this eclectic island has on its calendar. Nyepi is one of the most significant events on the Indonesian calendar and should top your list of things to do in Bali in 2019. Nyepi is the first day of the Saka New Year and is a vivid celebration of traditions, spirituality and rebirth. The annual event sees entire communities come together to welcome in the New Year. On the eve of Nyepi, the Balinese people take to their local temple for quiet prayers, warning away any negative spirits for the year ahead. At around 7pm villages, including Nagi near Udub, become filled with colourful papier-mâché models known as Ogoh-Ogoh. These bright and frightful puppets represent omens and are paraded through streets across Bali to celebrate their departure. The next morning, Bali welcomes the Day of Silence. The island comes to a stand-still and no words are spoken. Visitors are expected to stay indoors and respect this sacred tradition. Taking place across the island, this most anticipated annual ceremony will be one of the greatest events in Bali in 2019. 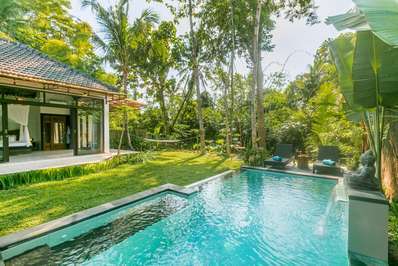 Be in the heart of the action by staying in Ubud the night before Nyepi, in one of our gorgeous luxury apartments. Of all the events and festivals in Bali in 2019, this has to be the most unique! The morning after the Day of Silence, the village of Sesetan in Denpasar resurrects in a truly lively style. Certainly one of the most charming events in Bali in 2019, Omed Omedan, often referred to as the Festival of Smooches, is an annual celebration of love and good fortune. For over 100 years, local singletons between the ages of 17 and 30 have gathered in the village for a comical tug-of-war. Couples are pushed together into kisses, while onlookers throw buckets of water over them. What was once a traditional celebration has quickly become a sought-after dating event, with street food markets and colourful parades welcoming in the new year. Omed Omedan promises to be quite unlike anything you’ve experienced before, and will certainly be one of most unforgettable events in Bali in 2019. If you’re looking for more unique experiences to try in Bali, check out our dedicated guide to the island’s most magical places. Ubud Food Festival is one of the best family events in Bali, offering an exciting sensory experience for visitors of all ages. Taking place over three days from Friday 26 April 2019, this culinary event celebrates the versatile cuisine of this eclectic island. 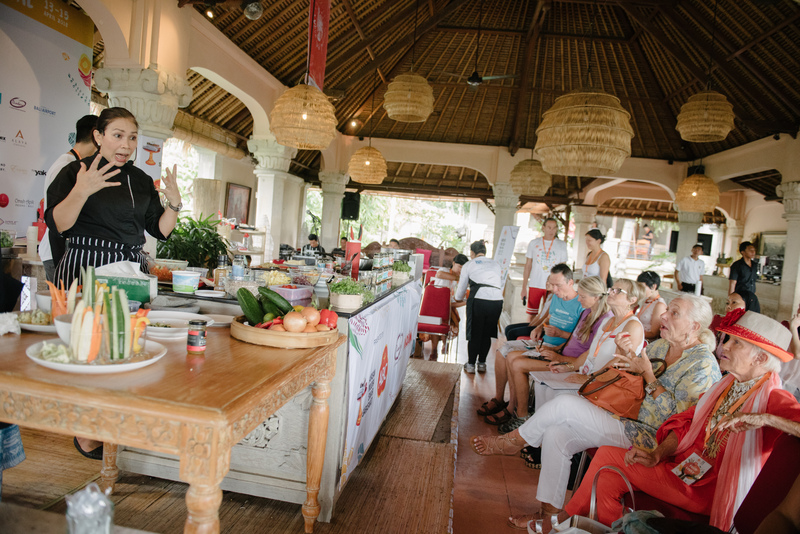 At Ubud Food Festival you can watch cooking masterclasses from renowned chefs and attend tasting sessions with fledgling cooks. With regional food tours, live demonstrations, film screenings and workshops, there is gastronomic excitement here for all types of diner. Ubud Food Festival will be the definitive foodie event in Bali in 2019! 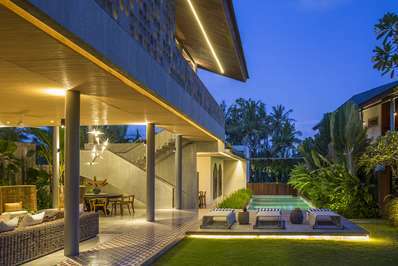 Stay in the heart of Ubud during the festivities, in one of our hand-selected luxury villas. With so many traditional events and festivals in Bali in 2019, finding one that suits you isn’t hard, and Purnama Kedasa is a celebration for all. This event welcomes in the tenth full moon of the year and holds particular importance to Balinese Hindus. Considered synonymous with new beginnings, this yearly festival is one of the most spiritual things to do in Bali in 2019. Taking place on 20 March in various temples across Bali, you can experience a tradition that many locals live by. Head to a nearby temple and witness thousands gathering for communal prayers. The largest and most sacred Hindu temple in Bali, Pura Besakih, also hosts a special ceremony known as Betara Turun Kabeh. The event calls upon the Hindu gods for blessings and the temple itself is decorated with colourful ribbons and flags. Pilgrims flock here from across the island to experience this yearly event. Betara Turun Kabeh draws an end to Melasti, which sees hundreds of Hindus walk to holy water springs to encourage good fortune for their families. A truly magical sight to behold, Purnama Kedasa will be one of the most unforgettable events in Bali in 2019. If you’re looking for the most diverse and traditional Indonesian events and festivals in Bali in 2019, look no further! Bali Arts Festival takes place every year in Denpasar and is a celebration of traditional Balinese culture. For a whole month the region is alive with music and dance in celebration of local heritage. As one of the most iconic cultural events in Bali in 2019, this carnival boasts a daily schedule of live performances, with arts and crafts and traditional costumes. You can witness authentic and contemporary dance shows, shadow puppet plays and music competitions, as hundreds of local and international artists take to the festival’s stages. This year will be the event’s 41st birthday, proving that this enduring celebration will be one of the most unmissable events in Bali in 2019. 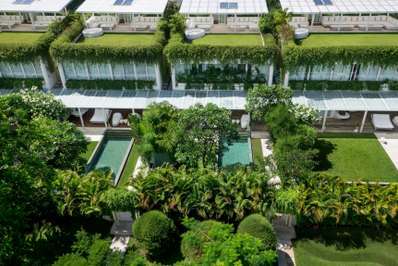 Be in the heart of the action during the Bali Arts Festival and stay at one of our gorgeous luxury apartments in beautiful Seminyak. One of the most musical things to do in Bali in 2019 is also one of the most fun. Ubud Village Jazz Festival is an annual celebration of music and dance. Founded in 2010 by musician and producer, Yuri Mahatma, this lively event sees thousands of visitors flock to Ubud for a weekend of live jazz entertainment, taking place in both indoor and al fresco venues. An important community event, Ubud Village Jazz Festival features performances from hundreds of local and international musicians, covering a range of jazz styles. The event aims to educate and inspire with a series of workshops taught by expert musicians. As well as live jazz, this intimate and eco-friendly event also offers food and craft fairs, making Ubud Village Jazz Festival one of the most eclectic family events in Bali: one that is not to be missed! For more family-friendly activities, take a look at our tips to keeping the kids, and yourself, happy during your trip to Bali. Experience the most sacred day in the Balinese Pawukon year. One of the most fascinating events in Bali in 2019 is also one of the most traditional. Tumpek Wayang is the final and most sacred day of Tumpek in the Balinese Pawukon year. This closing event unites each of the eight dates of Tumpek, welcoming a shift in the seasons and bringing together thousands for sacred reflection. The event is linked to Lord Kala, God of the Underworld. Accordingly to Balinese lore, Lord Kala was born an Ogre, due to the wicked union between his Godly parents, Shiva and Uma. The Balinese believe that any child born on this date carries negative energy, so locals host shadow puppet shows to scare Kala away. The ceremonies cleanse mind, body and spirit, while the famous Sapuh Leger puppets bring colour and fun to proceedings. You can experience the most holy day in the Hindu calendar at numerous temples across the island. Tumpek Wayang is truly unique to Indonesian and should be high on your list of things to do in Bali in 2019! An event of vibrant colour, performance and art, the Nusa Dua Fiesta will be one of the greatest festivals in Bali in 2019. Add this annual celebration to your ‘to do’ list and indulge in some charming Balinese hospitality. This cultural event celebrates all things Indonesian. Taking place over five days, the festival boasts everything from exhibitions to body painting competitions, with numerous traditional Balinese dance events tying the festivities together. The fiesta opens with an elaborate ceremony followed by street parades with striking floats, handmade costumes and live music. Get up close with local artists, sample regional cuisine at the event’s food market and be dazzled by exotic fire dancers as night falls. A visit to this annual celebration is by far one of the ultimate things to do in Bali in 2019! 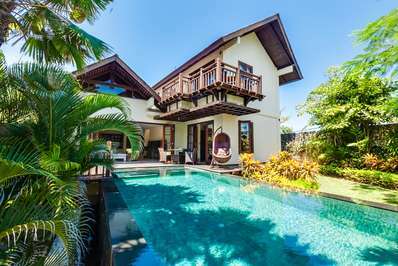 Celebrate the Fiesta in style by staying at one of our stunning properties in the heart of Nusa Dua. Witness hundreds of kites dancing in the sky above Sanur. Bali Kites Festival will be one of the most mesmerising of all the events and festivals in Bali in 2019. This competitive kiting tournament takes place every year on Padang Galak Beach near Sanur and is a way for locals to thank the Gods for the year’s harvest. Celebrating Bali’s windy season in style, this festival sees hundreds of giant colourful kites take to the sky for a communal dance. International teams compete with increasingly more elaborate kites, often shaped like Hindu deities or wild animals, making for some truly spectacular Instagram shots! Dive into the playful spirit of the Island of the Gods and attend one of the most vivacious festivals in Bali in 2019. Come together to celebrate with the Hindu community in Bali. Odalan has to be one of the most important ritual events in Bali in 2019. Village temple festivals, or Odalan, take place almost every day across the island and the celebration remains one of the most significant days in the Hindu calendar. Places of worship commemorate their anniversary with a grand birthday party, where important spirits are welcomed down to earth to visit their ancient ancestors. If a temples’ anniversary falls on a full moon, extra special Odalan events are held in honour. For their Odalan, temples are decorated with flags, while locals attend ceremonies dressed in white and gold. Sacred images of Balinese Gods are taken to holy springs to be cleansed, while music is played to welcome the deities home. Some temples provide entertainment for three days straight, meaning you can experience one of the greatest events in Bali in 2019 in beautiful candlelight. Wherever you go on the island, make your stay memorable by booking one of our hand-picked villas and apartments. With over 4,000 temples across the island, Odalan festivities can be experienced almost every day of the year. Take a look at your nearby temple schedule to see when their next celebration is taking place. Jen is a travel fanatic with a self-proclaimed obsession for all things Japanese. She has traveled extensively and currently lives in London, where she works as a full time Freelance Writer. She is also passionate about yoga, food and dogs.